Easy and Economical Way to Estimate Mechanical Equivalent of Heat. 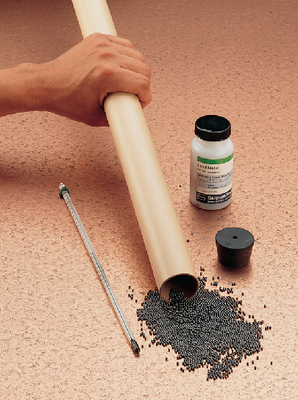 Place a known mass of lead shot into this 1m tube and let it fall the length of the tube several times. Measure the rise in temperature of the shot to calculate the heat produced. There should be a relation between the number of times you turn the tube over and the temperature of the shot.